Sometimes you have to spoil yourself (read: I have a bunch of work-filled weekends on the horizon). My sis and I had ourselves a nice little Saturday morning last week that left us feeling rejuvenated and sunburned. Even though today is technically the first day of Spring, we’ve had our fair share of warm days here in San Francisco #blessed. 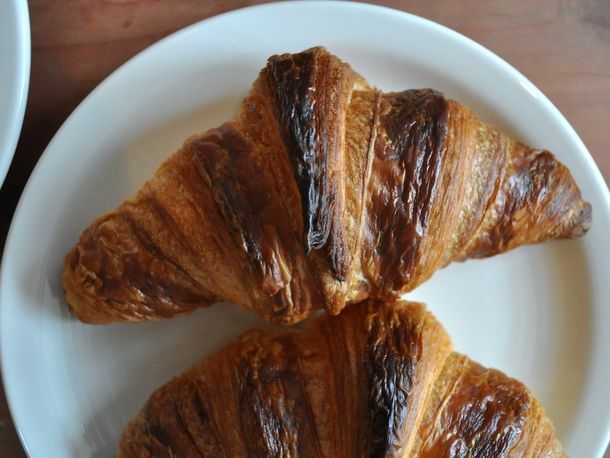 Our recommendations for the perfect Spring morning…pick up Stumptown coffee and croissants (best in the city) from Le Marais bakery on Chestnut Street. 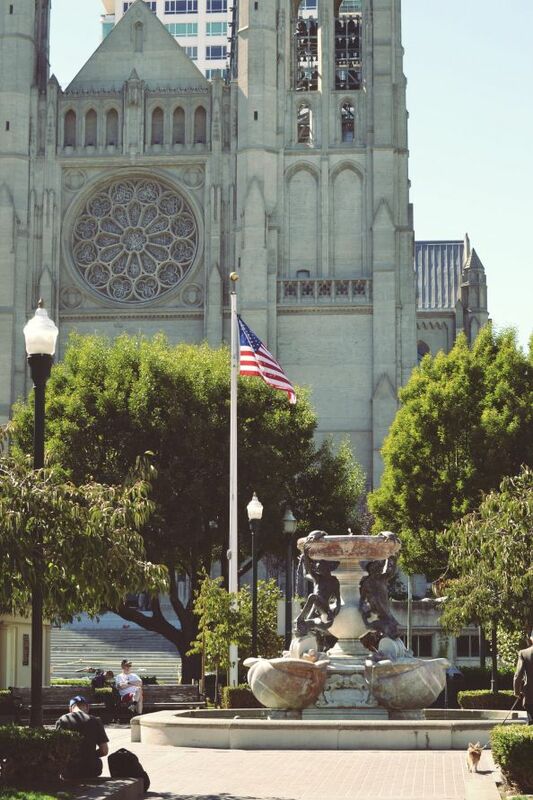 Enjoy a picnic in Huntington Park. It’s green, luscious and so quintessentially SF with cable cars passing by. 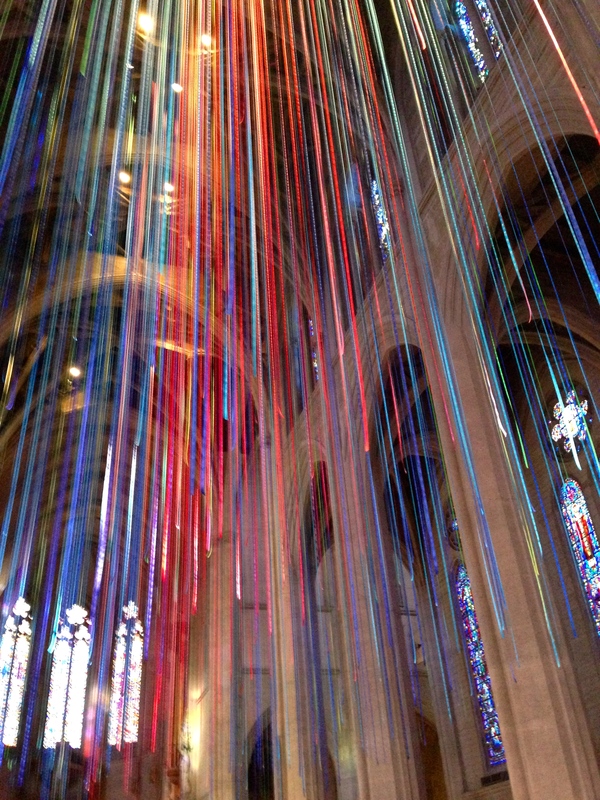 Visit Grace Cathedral to see the art installation, “Graced with Light”. It features 20 miles of colorful ribbons suspended from the ceiling. 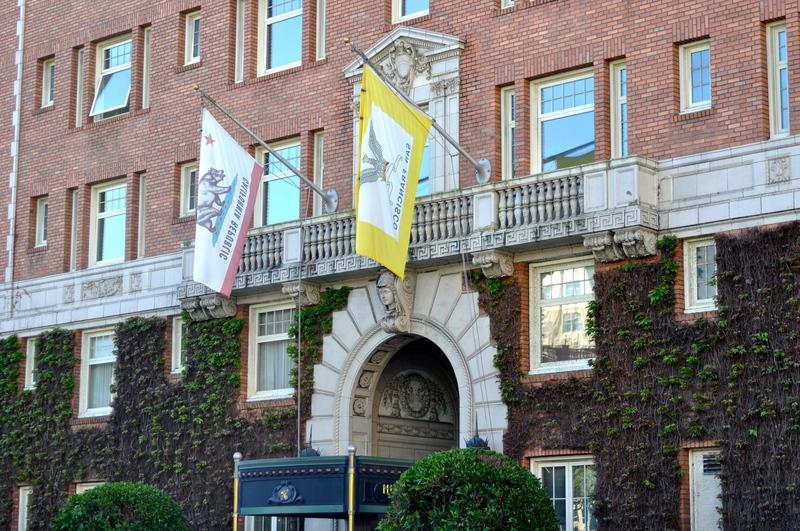 Get a spa treatment from Nob Hill Spa located in the Huntington Hotel. Book a facial with Celine–an elegant French woman who knows her skincare and can diagnose your skin type/ problems better than any dermatologist I’ve ever encountered. She recommended I use this serum from the Swiss company, Luzern, for my sensitive skin. I’ll report back. Savor some healthy spa cuisine and Vitamin D out on the sun deck. Take it from us, after a morning like this you won’t feel so guilty binging on an entire season of The Following. Can’t promise anything on the nightmare front. Happy first day of Spring!